What is world-class safety? 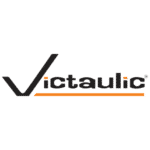 As an industry thought leader, Victaulic continues to define and strive for global manufacturing excellence. So when the company saw an opportunity to more effectively protect its foundry personnel, the organization vigilantly went to work. While industry standard safety coats protect against molten metal splashes, Victaulic sought a more comfortable, durable garment to protect its foundry workers. Led by the vision of Zach Jerrold, Victaulic’s Global EH&S manager, four organizations collaborated to create what is today known as the BOGU coat. Toray Fluorofibers developed and tested a breathable, heat-protective PTFE fabric at the University of Alabama Birmingham. Victaulic then partnered with Majestic Fire Apparel to prototype, test and refine the coat which Majestic now manufactures. The partnership led to the creation of a game-changing safety garment that offers better molten metal splash protection, greater comfort and breathability, and up to three times the longevity of traditional foundry safety coats. Read more about the collaboration that resulted in the BOGU coat in Plant Engineering’s November issue. The monthly publication reaches 67,177 plant engineers, plant managers and maintenance professionals.